Developer's Viewpoint: On Iwata-san's Passing Part 1: Ninjabee Games and Galaxy Trail Games! In memory of the late Nintendo president Satoru Iwata we recently got together with many indie developers to talk about the icon's life! In this several part feature we'll learn more about the legendary president through the eyes of indie developers! This first part features Ninjabee Games (NBG) "A World of Keflings" and Galaxy Trail Games (GTG) "Freedom Planet" and without further ado here's our interview! Interview wrote: Thanks for joining us to commemorate Iwata's life! Did you ever have the honor of meeting Iwata-san? (NBG) I can't claim any special connection with Iwata-san. His influence on me is much the same as it is for many gamers. I've heard him speak in person, but I never had the honor of meeting or talking with him. Did Iwata-san's work in the industry influence any of your games? (NBG) It's very hard for someone so prominent in the game industry and who developed so many influential games, not to have a big impact on every game developer. This is true particularly for old guys like me who played many of his games when they were new and the cutting edge. Even if they don't know it, younger developers, who may not have even played his games, are still building upon a game development history that he helped create. When I was a kid, my mom referred to playing any video game on any platform as "playing Nintendo". I heard many moms do the same. This was partly because of the strong influence the games Iwata-san was developing had on culture in general. (GTG) Without a doubt; Many of Iwata's contibutions were towards games that are regarded as classics today and studied meticulously by game designers. What is your favorite memory of Iwata @E3? (NBG) I love how he considered himself a gamer more than he thought of himself as a president an important company in the industry. I really enjoyed how he was willing to have fun and make playful videos for the Nintendo press conferences. He was able to have fun without loosing his dignity. (GTG) Like many gamers, I only became familiar with Iwata's work after his ascension to CEO and his involvement with Nintendo Direct, but in the few years that I got to know him, I developed a profound respect for his enthusiasm and integrity. As for my favorite memory - I think it's hard to top being turned into a Muppet, haha. How do you feel Iwata-san has affected the industry as a whole? NBG) He has had such a major influence, it's hard to point to any single accomplishment. He worked on games that helped shaped the direction of the industry. At times Nintendo choose to go a different direction from the other hardware manufactures. With the Wii U they introduced console games to a huge new audience, He helped opened many eyes to the possibilities of expanding the market and demonstrated that anyone could become a gamer. (GTG) As Reggie said himself, I think it will be a few years before the industry can fully appreciate the extent of Iwata's work, but I can say that many of Nintendo's classics like Earthbound and Poke'mon would not have been quite as excellent, or even existed at all, without his contributions. One could also say that he saved the careers of his fellow employees by refusing to lay them off during Nintendo's rough periods, and as a consequence those bright minds have continued to produce more awesome Nintendo products. 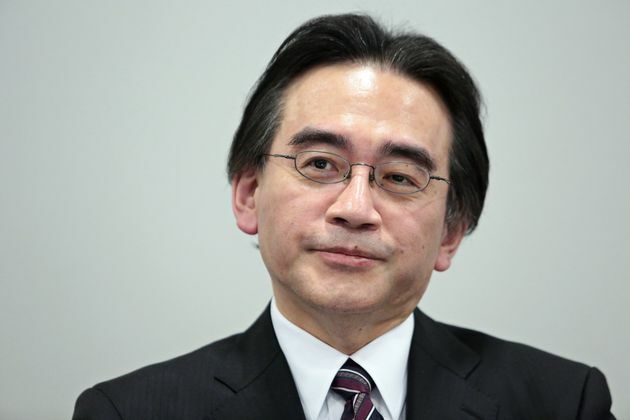 What is your favorite game that Mr. Iwata personally helped develop? (NBG) I would have to pick, The Legend of Zelda or Mario because they are such gaming icons. However, I have to admit that I don't know how much influence he personally had on each of those games. I know he was involved but I don't know the details. I might choose differently if I had insight to which aspects of each of his games came directly from him. If I better understood which games where the execution of his personal vision and which games he helped realize someone else vision I feel like I could choose much more accurately. While both are important roles, I tend to give more credit to the visionary behind a game. (GTG) It's hard to pick just one, but I feel very grateful for the magic that the Pokémon series brought to my childhood. I didn't have many friends in school and I was fairly shy, so the popularity of Pokémon brought a social aspect to my life that I hadn't experienced before. What do you think that Iwata-san will best be remembered for? (NBG) While he spoke of considering himself first a gamer, I still assume he will be remembered most for his incredible success and expansion of the game industry with both the Nintendo DS and the Wii. (GTG) Most likely he will be remembered for his unique personality as the CEO of Nintendo, and I hope that future leaders will be inspired by his way of doing things. One final farewell to Iwata-san. (NBG) I hope that he understood the impact he had on many, many people. His influence went far beyond those who even know his name. While many may not recognize his name, they will recognize his work. (GTG) I think Itoi put it best: "When I'm parting with a friend, regardless of the circumstances, I find it best to just say, ‘See you later.’ We'll meet again." (NBG) I'm a big fan and I hope that Nintendo will continue to develop great games and continue to innovate. I looking forward to what they are going to do next. What did you think of part one of our interview? Let us know what you think in our comments below! Re: Developer's Viewpoint: On Iwata-san's Passing Part 1: Ninjabee Games and Galaxy Trail Games! Farewell Iwata you will be missed. What a great tribute article. What a touching interview boss. Excellent tribute to Iwata! Nice work Rukiafan! These exclusive features are really good, @Rukiafan THIS is what WiiWareWave needs more of to be successful! @Love4Gaming wrote: These exclusive features are really good, @Rukiafan THIS is what WiiWareWave needs more of to be successful! Amazing interview! It was a perfect tribute to Iwata-san!